Medical plant Punica granatum L is the botanical name or delima for the indonesia name. 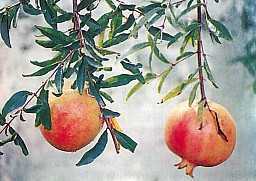 Pomegranates originated from the Middle East, spread to temperate to tropical regions, the lowlands below 1,000 feet. Plants prefer a loose soil that is soaked in water, ground water is not deep. Grenades are often planted in gardens as ornamental plants, medicinal plants, or as an edible fruit. Form of shrubs or small trees with a height of 5.2 M. Eels, lateral branches, brown, highly branched, weak, rich in leaf axils, when the night young, green and dirty. A single leaf, stem short, found the group. Leaves oblong elliptical, base of the cone, EDGE, pinnate dull flat, shiny surface, length 9.1 cm, width 0.5 to 2, 5 cm leaf.it's green. Short single-stemmed flowers, out in the end of the branch or in the armpit leaves at the top. Typically, there are 1-5 flowers, red, white, or purple. Flowering throughout the year. The fruit is a fruit Buni, round shape with a diameter of 5-12 cm, various colors, like green-purple, white, reddish brown, or purple-black. Sometimes, there are colored spots slightly prominent old. Seeds many, small, round-cornered long-term rather flat, hard, irregularly arranged, red, pink, or white. 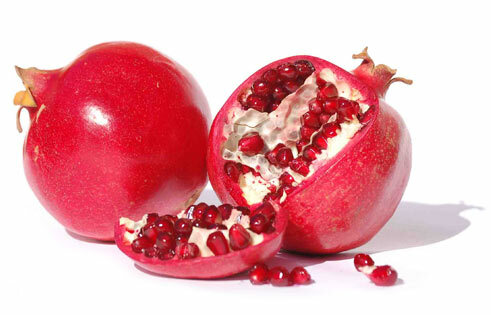 Known for three kinds of medical plant pomegranates, namely white pomegranate, pomegranate red, and purple pomegranate. Propagation by cuttings, roots or shoots of grafts.